Constant stress and a fast-paced lifestyle can contribute to a lot of factors that affect our appearance. One of which is the fact that it can make one look tired and groggy even after getting the right amount of sleep. Nevertheless, thanks to skincare brands like Holika Holika or makeup, a person can instantly transform their tired-looking appearance into ones that look bright, wide, and doe-eyed. Using a natural shade of concealer, draw an upside-down triangle or a v-shape under each of your eyes. Blend your makeup with a large brush or a beauty blender to avoid that cakey effect. This creates a lifting effect which can make your eyes look wide awake. Look for a makeup that provides white or champagne-colored eyeshadow with hints of glitter. If you don’t have these eyeshadow shades at hand you can always use some of your favorite highlighters. With a brush, gently swipe some product over the inner corner of your eyes. The shimmering effect of these products helps reflect the light which can make your eyes look brighter. Remember to use the right amount of glitter as too much can affect the natural look you might be going for. Using fine-tipped liquid eyeliner, carefully draw a line right on top your upper eyelids near the lash line. 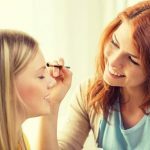 Don’t forget to draw on some wings at the edge of your eyelids for that chic and effortless look while also making your eyes look bigger. Curl your upper eyelashes with an eyelash curler. To make it last longer, heat up your curlers with a blow dryer for a minute or two before use. After which, apply a coat of lengthening mascara on your lashes to frame your eyes. If you are one of those girls with exceptionally short eyelashes, consider investing in natural looking false ones. 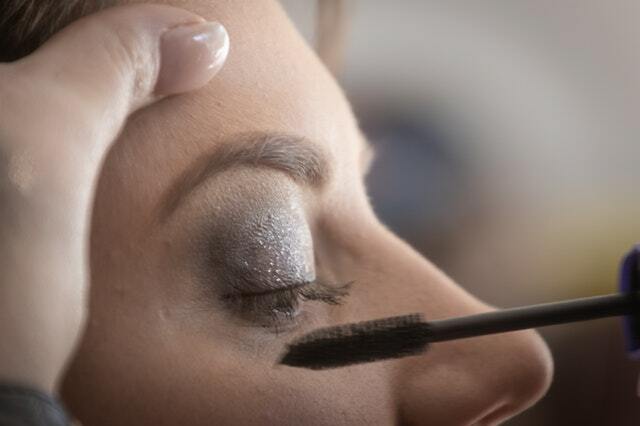 To apply fake lashes, carefully squeeze out some lash glue on the flat edge of your lashes. Heat it up for a few seconds with a blow dryer to make the glue extra sticky. Using a pair of tweezers, gently lift them to your eyelids and place them as near to the lash line as possible. Press it gently and let it dry. Next, curl your lashes with a curler to blend your natural lashes with your synthetic ones. Remember not to invest in heavy looking eyelashes as it can make your eyes look smaller. Groomed eyebrows do more than just shape your face, they also help frame your eyes and can also make you look polished. As a rule, women with thin eyebrows tend to look harsher which makes them look older than they really are. For a youthful touch, fill in your eyebrows with an eyebrow pencil. Use light and feathery strokes for a more natural effect. Avoid filling them in too harshly as they can make your eyebrows look cartoonish. For an additional pick me up, consider investing in facial mist products which you can use throughout the day. Many of these products contain concentrated ingredients like rose petals, aloe vera, and snail mucin that help hydrate tired-looking skin during lazy afternoons. To use, simply spritz on some mist on your face and let it dry. Dab on some extra product with a clean face towel for better absorption. After applying mist, retouch some of your eye makeup for a natural and radiant glow. 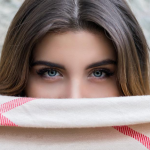 Tired-looking eyes can be distracting and can make a person look older than they really are. 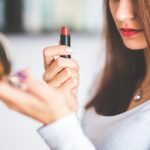 While makeup tricks can be effective, they are still a temporary solution which means that users should still invest in getting quality sleep and apply eye cream regularly to avoid constantly relying on makeup.